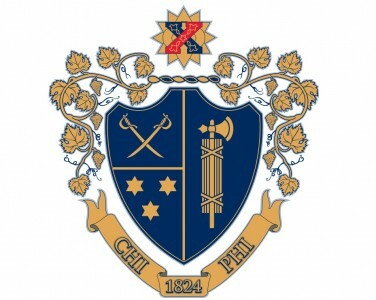 The Chi Phi (ΧΦ) Fraternity is an American College Social Fraternity that was established as the result of the merger of three separate organizations that were each known as Chi Phi. The earliest of these organizations was formed at Princeton in 1824. Today, Chi Phi has over 43,500 living alumni members from over 100 active and inactive Chapters and un-chartered Colonies. For more information, visit the Chi Phi website.